Apart from tourism, FIJI Water is probably the biggest industry in this small, remote Pacific nation. The water begins as rain in the tropical forest, and filters through the ground for hundreds of years in Viti Levu before entering the aquifer. 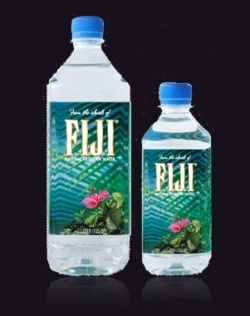 FIJI is classified as a Very Low Mineral water and has a desirable 7.5 pH factor. The most notable chemical aspect is its high silica, often associated with waters that are harvested from areas with volcanic geology. Once the darling of Hollywood types who admired its purity and packaging, FIJI can now be found almost everywhere, including here at The Water Loft.